Rebecca Bunch is going to jail. This is the culmination of a turbulent period in the life of the musical-theater-loving lawyer who left New York City to start all over again in West Covina, California (but not because her ex-boyfriend Josh lived there): an aborted wedding, a brief Fatal Attraction phase, a retreat to her hometown, a suicide attempt, a borderline-personality diagnosis (“A diagnooooosis!”), and a recuperation that truly seemed on-track until an unstable blackmailer with a taste for turtlenecks resurfaced and attempted to stab the new man in her life—and so Rebecca pushed him off a roof. That’s Crazy Ex-Girlfriend’s third season in a Rebecca-centric nutshell (overlooking an eight-month time jump, a surrogate pregnancy, and Josh Chan’s dalliance with the priesthood), one that ends in a courtroom, an orange jumpsuit, and co-creator Rachel Bloom’s character pleading guilty to second-degree murder. It’s a proper starting point for the end of a TV series that blends the euphoric highs of musical and romantic comedy with the harsh emotional and psychological realities of its perfectly imperfect characters. Rebecca’s mid-flight overdose last season was a thoroughly deglamorized depiction of a plot point often played for shock and sensation; just as the writers didn’t let their protagonist take the easy way out in front of the judge, they’ve refused to treat her diagnosis as some magical cure-all. 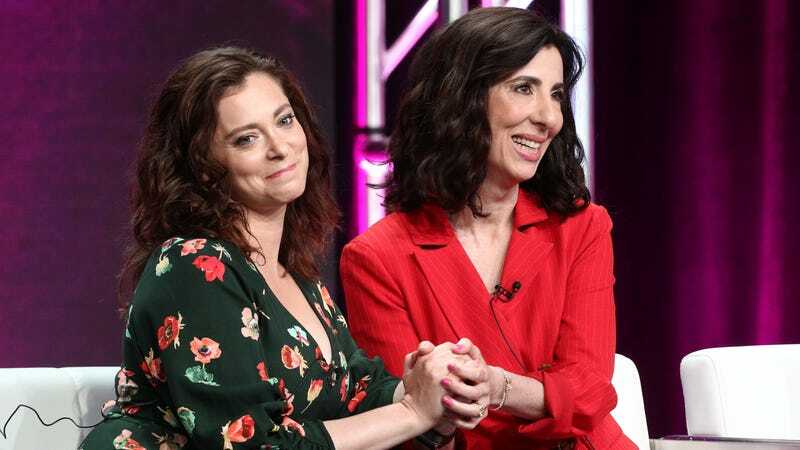 Crazy Ex-Girlfriend’s road is one that’s always had an end in sight: The creators conceived the series as a four-season arc. “This is a story about a finite time in a woman’s life,” Bloom said. “We’re not telling the entire life story of Rebecca—we’re telling the story of this moment in time.” In a final act revolving around recovery and starting from scratch—the very things Rebecca was seeking when she left New York—Bloom and Brosh McKenna have set out to bring things full circle, reprising songs and bringing back as many characters as they can. “I really like taking thinking of, like, themes from the first season and twisting them on their head—that’s very fun for me,” Bloom said. From boy bands to Beyoncé, how does Crazy Ex-Girlfriend stack up to its music-video inspirations?